We all love our pets, but even the best behaved dog and cleanest cat have an impact on our house. From scratched floors and sofas to muddy paw prints and hair everywhere, it’s not always easy for our furry friends to respect our homes like we do. Therefore we’ve put together 5 Interior Design Tips for a Pet Friendly Home. 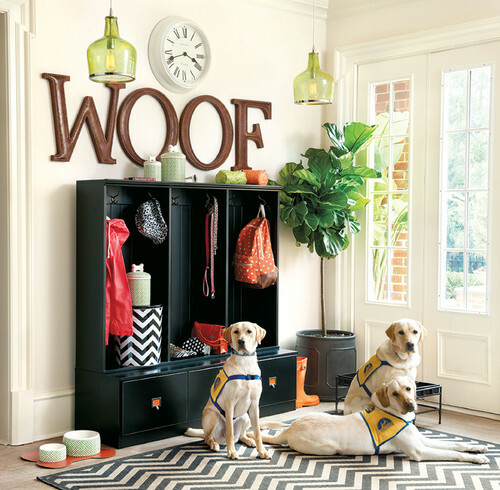 Create a pet station in your hallway to keep the pet leashes, toys and treats. To help stop the grime at the door, keep an old towel or pet wipes handy for wiping their muddy paws before your pet has a chance to track dirt through the house. Keeping a door mat outside will also help trap debris before entering the house. 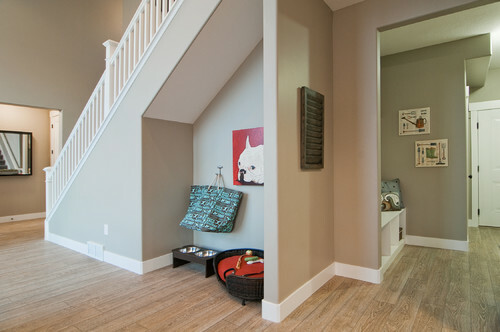 Hard wear flooring is always a better option than carpet if you have pets inside. Consider options such as polished concrete, laminate flooring, stone or ceramic tiles. They will be easier to keep clean and stain free as opposed to carpet. These floors are also cooler in hot weather, which will be ideal for your pets to cool down. 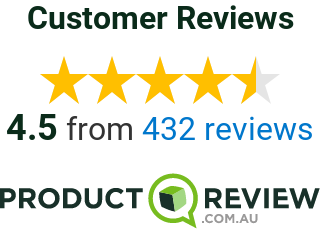 Ceramic tiles are usually hassle free when it comes to pets. The Delta display home by Smart Homes for Living. A rug can dramatically change the look and feel of your home and also protect floors from claws and stains. They can offer your pet a comfy spot to snooze and you can easily clean them. To make sure your rug always stays in place, even with your pets running around, slip-proof it underneath. Think carefully before buying your furniture as some of the fabrics can be easily ruined by pets. Choose fabrics and furniture that not only hides any fur, but that will also create less work for you. Fabrics with pattern are a good option to consider for hiding evidence of pet hair. Leather is a great option for a pet-friendly living space. The Gallardo display home by Smart Homes for Living. Pets love to have their own space around the house. To help keep your pets away from your couches or beds, create little spaces which they can call their own. Dogs love their comfy beds so consider adding two or three beds in the main living spaces. Whilst for cats, having a perch to climb will keep them busy and happy. For more interior design tips, check out our “Interior Design Inspirational Ideas” and “5 Tricks to Enhance Your Open Plan Living Area“.